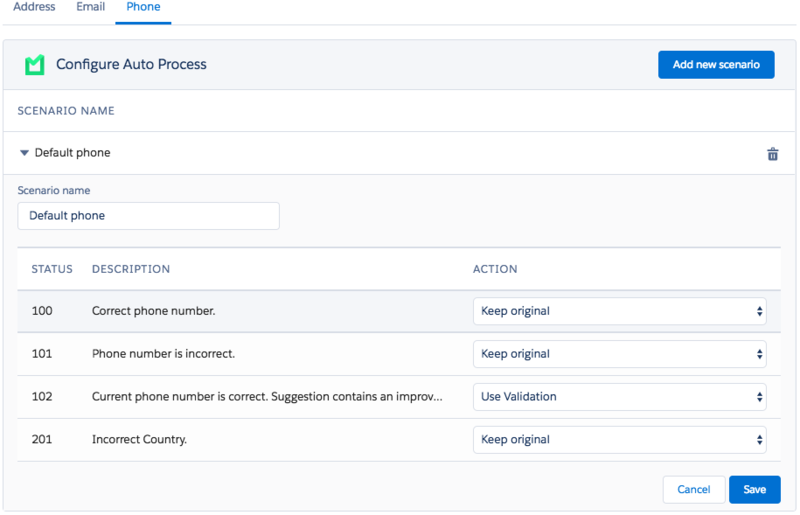 Record Validation Auto Process feature validates the Address, Country, Phone number and Email address by the rules defined on the Auto Process page. Record Validation Auto Process feature can process only batch job results. 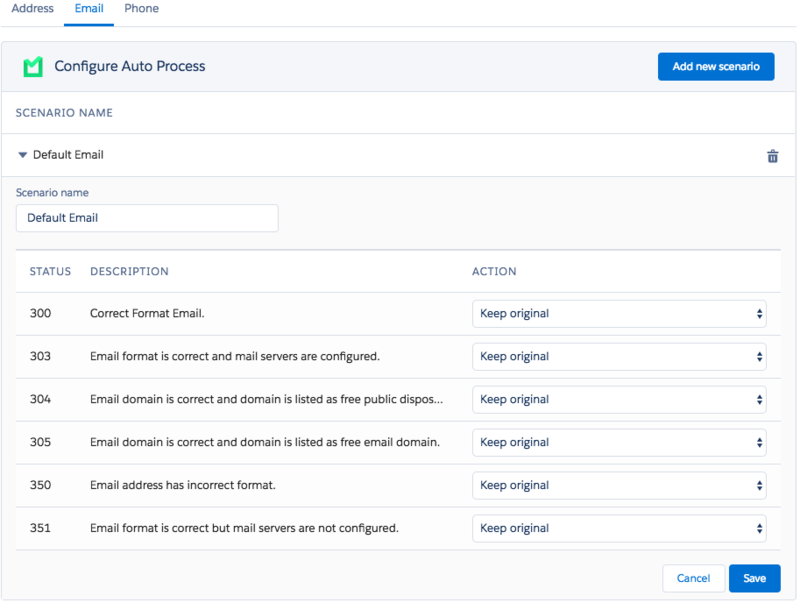 Users can choose the default scenarios or create and configure their own. Action Choose what action should the Auto Process feature take when a Status is returned. Multiple Suggestion What action should Auto Process feature take when there is more than 1 suggestion for the field. An Auto Process job can be started from the Record Validation Job page by clicking on the Auto Process button on a finished batch job. 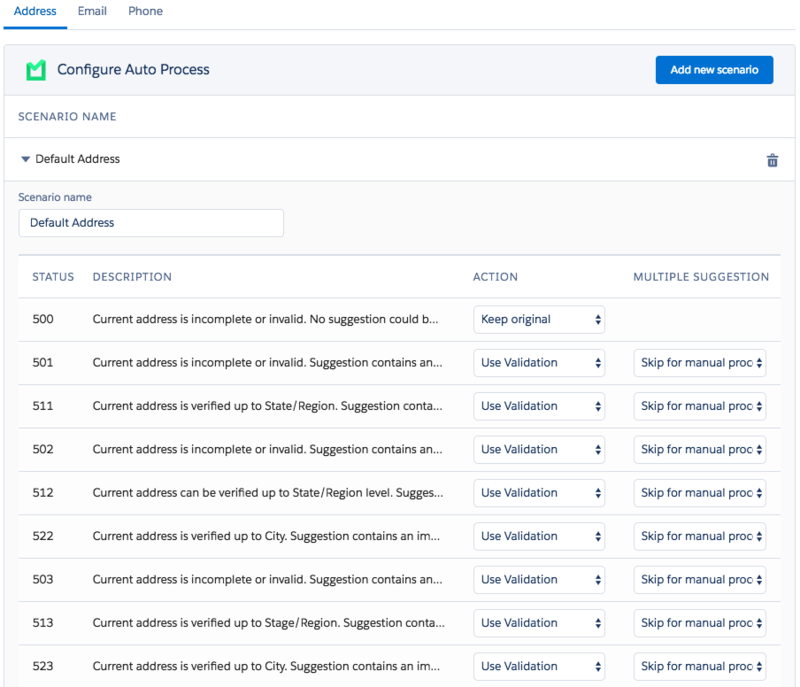 After clicking on the Auto Process button a configuration pop-up will appear. Mark the fields you want to validate and select a scenario. Learn more about How to start an Auto Process job in this article.